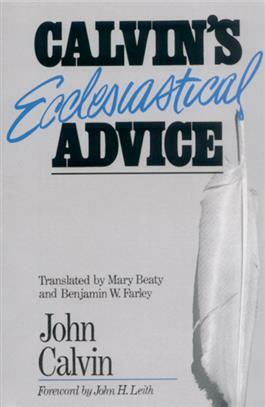 These forty-six letters and writings of John Calvin, translated into English, demonstrate how Calvin applied the theology of the Institutes and the biblical exegesis of his commentaries to issues of everyday life. Here, Calvin gives advice to individuals and groups about theology, ethics, worship, politics, economics, and church practices. Topics discussed include dogmatics and polemics, changes (and the need for changes) in religion, the worship of images, ecclesiastical discipline, marriage, and justice. Each writing is introduced by an identification of the receiver of the advice and an explanation of the subject matter itself. This volume is useful for understanding Calvin's theology and its application to Christian life.